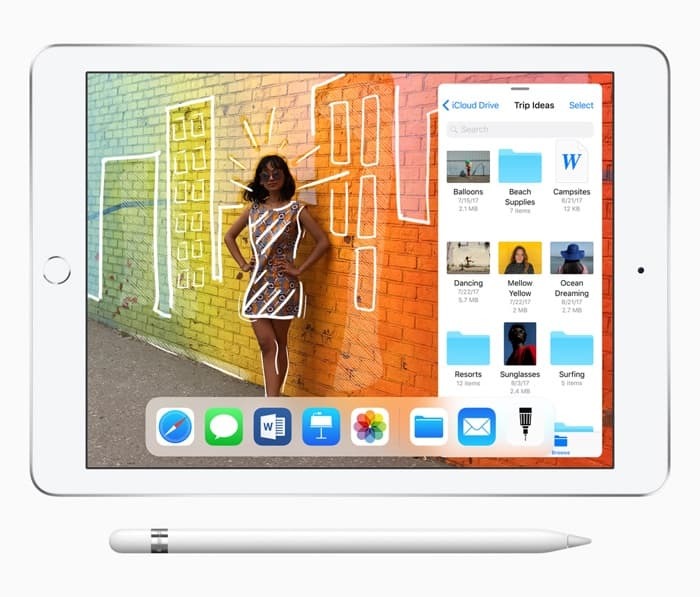 Apple launched their new iPad earlier this week, the device is the first entry level iPad to support the Apple Pencil. The Pencil was previously only supported by Apple’s Pro models. The new iPad is considerably cheaper than the iPad Pro with prices starting at just $329 for the 32GB model of the tablet. The iPad Pro starts at $649, have a look at the video below comparing the new Pad vs iPad Pro. The iPad Pro comes with a slightly higher resolution display and it also comes with some features that the standard model does not have. It also has a slightly faster processor. Now that the new iPad supports the Apple Pencil it might be worth looking at considering it lower price. We suspect that the new iPad will end up being a popular device for Apple, especially considering it now supports the Apple Pencil for the lower price.